Pay Scale: Rs 15,000/- per month consolidated. How to Apply: The appointment will be purely on contractual basis and hence the Institute will not provide any employment after completion of the research project. The services of project fellow may be terminated without any notice at any time by the Authority. Interested candidates may send their soft copy of bio-data to the undersigned director@tocklai.net or rajivmbhagat@gmail.com within 21 days of appearance of this advertisement. Shortlisted candidates will be called for interview. No TA / DA or any expenses will be paid for attending the interview. 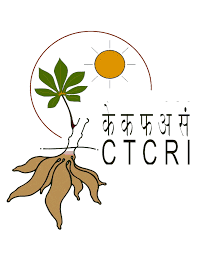 General Instructions: Positions are available for the post of one (1) Junior Research Fellow and one (1) Project Assistant under the DBT sponsored project entitled “Exploration of Plant Growth Promoting Microbes (PGPM) for crop enhancement and disease suppression in tea plantation of Assam and their molecular characterization”(BT/PR11823/NDB/39/487/2014) at Tocklai Tea Research Institute, Tea Research Association, Jorhat, Assam. Desirable Qualifications: Candidates having 1st Class M. Sc. Degree in Life science or Agriculture (specialization in Plant pathology/Microbiology, preferably knowledge of microbial biotechnology) with NET qualification. How to Apply: The appointments will be purely on contractual basis and hence the Institute will not provide any employment after completion of the project. Interested candidates may send their application (soft copy) along with bio- data to the undersigned within 21 days from the date of the advertisement. Candidates are requested to submit their application to director@tocklai.net and tra.mycology@tocklai.net. Only shortlisted candidates will be called for interview and no TA/DA or any other expenses will be provided for attending the interview. Pay Scale: INR 8,000/- (consolidated) per month.